We may or may not have choked up a bit last night when Glee’s Chris Colfer took home the award for Best TV Supporting Actor. 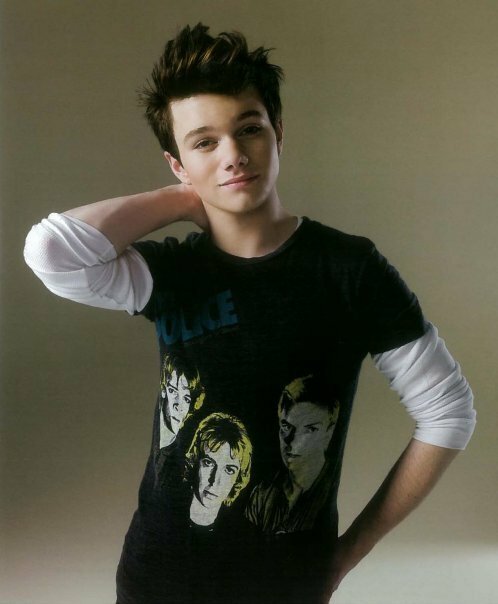 His out and proud high school student, Kurt Hummel, had us at Single Ladies last season. It feels right to finally put a Globe on it. “Most importantly, to all the amazing kids that watch our show and the kids that our show celebrates, who are constantly told ‘no’ by the people in their environments, by bullies at school that they can’t be who they are or have what they want because of who they are. Well, screw that, kids,” Colfer said in his acceptance speech. Amen! Co-stars Lea Michelle and heck, the entire cast, were seen equal parts crying for Chris and cheering on their pal as he took the stage. Were you happy to see Kurt Chris take home the gold?